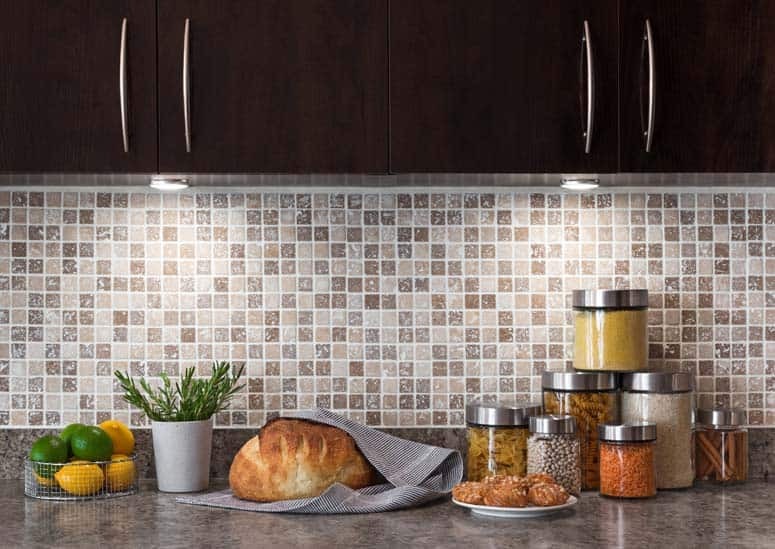 Mosaic tile backsplash provides a stunning, durable wall between countertop and cabinets. The finishing touches to a countertop-a backsplash and edgings-perfectly complete the style statement. Backsplashes protect the wall along a kitchen countertop from food residue and water. 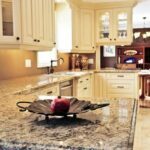 They are often made from the same materials as the countertop itself, though they may include colored or patterned accents. A height of 4 inches is common, but they may be any height. Plastic laminate and solid-surface countertops often have backsplashes included, creating a seamless look. Natural materials such as wood, stone, and ceramic tile have separate backsplashes. 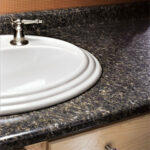 Often, the countertop’s edging is used in the backsplash to create a uniform appearance. 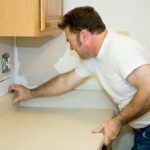 Countertop edging finishes the overhanging part of a countertop, and the type of profile and detail you choose affect both the style and price of the finished installation. Most styles are about an inch deep or a little longer; make sure the style you choose won’t block drawers or cabinet doors. 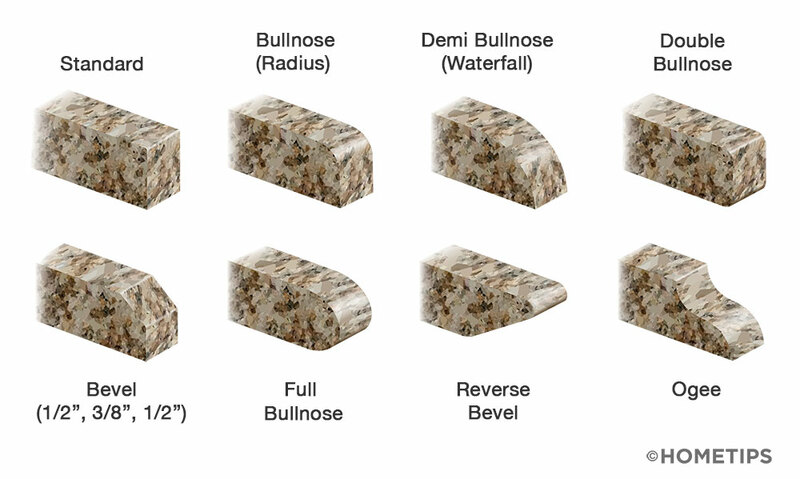 The most popular rounded edges are bullnose, waterfall (also known as a “half bullnose”), bevel, and ogee. Square edges cost less, but they are generally easier to chip, and their sharp corners are painful to bump into. 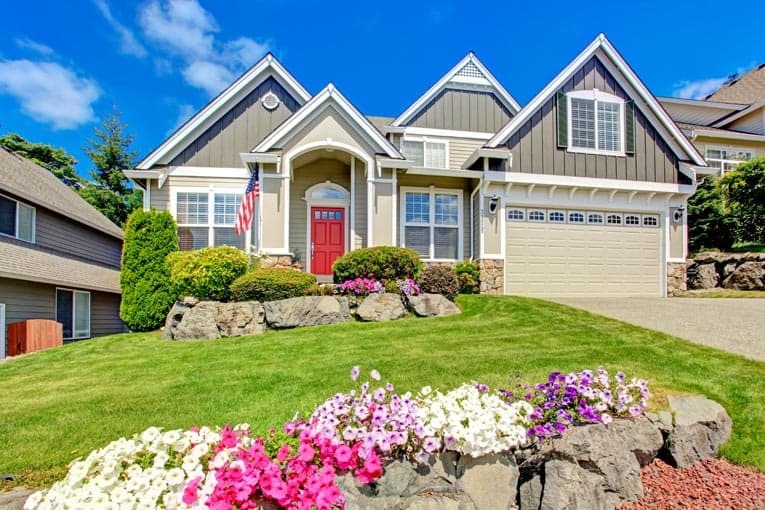 Wood edging can be shaped to match architectural details in your decorating scheme. Plastic laminate and tile countertops can be banded with stainless steel or wood, but be sure that wood is firmly attached to tile with epoxy grout to prevent debris from collecting between the two materials.